If you regularly take photo’s with your mobile phone, we have good news for you, Polaroid have announced that they are getting together with O2 the UK mobile phone provider and forming a retail partnership following Polaroid’s launch of the PoGo Instant Mobile Printer that happened in July. 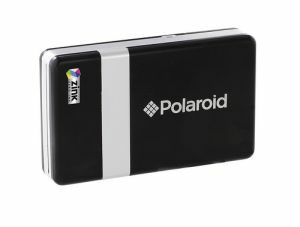 480 nationwide O2 retail stores will sell the Polaroid PoGo and accessories as from next week. By using Bluetooth technology which is standard on most mobiles now, the Polaroid PoGo creates full-colour digital photos without the need for ink cartridges or ribbons, not only that it only weights eight ounces. You can already purchase the Polaroid PoGo Instant Mobile Printer at Amazon, Play.com, John Lewis, Curry’s Digital and PC World. We just love the Polaroid PoGo, its so instant, so the next time your friend asks for you to download the photo and email it to them so they can print from the main computer, you can just print it off for them there and then and be done with it. Perfect.